Demetri’s in downtown Homewood is more than just barbeque. While the restaurant is known for its pork sandwiches and ribs, it is possibly better known for its breakfast. Yes, breakfast at a barbecue joint. Demetri’s offers a variety of breakfast options including omelettes, traditional breakfast platters, huevos rancheros and a unique take on French toast. 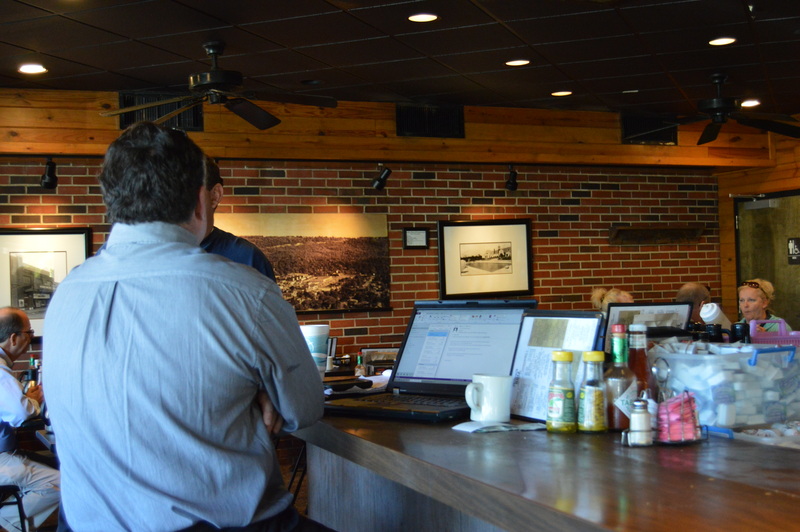 If you visit on a weekday, you will run into professionals having business meetings over eggs and toast, sisters meeting for toast and Southern grits and retirees arguing about state politics over black coffee. 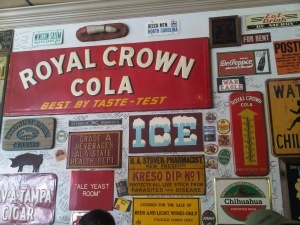 The décor is typical of a barbecue restaurant, with wood-paneled walls and orange barstools. At breakfast, however, the setting and slight smell of smoke allude to storybook mornings in the country. 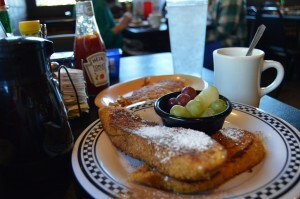 The specialty French toast at Demetri’s is a favorite for locals and visitors alike. Even a small order begins a hefty portion of dense, thick-cut bread that is dipped in egg and coated in crushed cereal. The result is a crunchy crust and chewy center, topped with powdered sugar and, if you choose, maple syrup. Demetri’s is open for breakfast Monday through Saturday from 6:00 a.m. until 10:30 a.m.
Birmingham has a lot to offer if it’s 8:00 a.m. and you are hungry. Join us as we explore the different options around town, and look for the print copy of Exodus in early December for the full list. When I received the opportunity to ride-along with a police officer from the Homewood Police Department, I jumped on the chance. Some of you may have heard of these ride-alongs, but I had no idea that normal citizens are allowed to simply hop in the car with a cop and join them on their daily shift. I went during the morning shift on a Tuesday, so my experience was nothing short of uneventful. Unfortunately, I don’t have a story about a high speed chase through downtown Homewood on a Tuesday morning. However, I did gain some fairly useful (and not so useful) knowledge during my ride-along, which I’ve compiled together to share. Don’t let your license plate tag expire. The police well-trained to spot expired tags, so it’s second nature for them to look at the tag on every car in front of them. This is one of most common ways to get a ticket, and you can easily avoid this problem by renewing your tag each year. Fun fact: if you go to renew your tag between the 10th and 25th days of your designated renewal month, you’re less likely to wait in a long line. There is an entire store of police officer uniforms, and it’s actually pretty fun. We visited McCain Uniforms, and it is basically a police officer’s candy store. They have Oakley sunglasses, fancy flashlights, the latest duty belts and everything in-between. Even as someone not in the police force, I quite enjoyed wandering around the store and trying on the fun hats. “10-4” is actually a phrase they use – a lot. I knew before this experience that “10-4” was the radio communication code for affirmatives, such as “understood” or “copied.” However, I thought it was more of a phrase that people said for fun, not one that police actually use frequently for their radio communications with each other. Not going to lie, this really excited me. Police officers really aren’t out to get you. Cheesy as it may sound, they’re here to help us. We may hear about police letting the “power get to their heads,” etc., and I’m sure there are some who do. But the majority of these men and women are hardworking people who just want to help their communities and keep us safe. To see more photos from my ride-along, be sure to pick up our upcoming issue of Exodus in December. 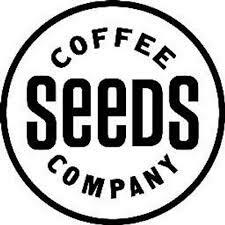 Seibels brings the great outdoors to the heart of downtown Homewood. 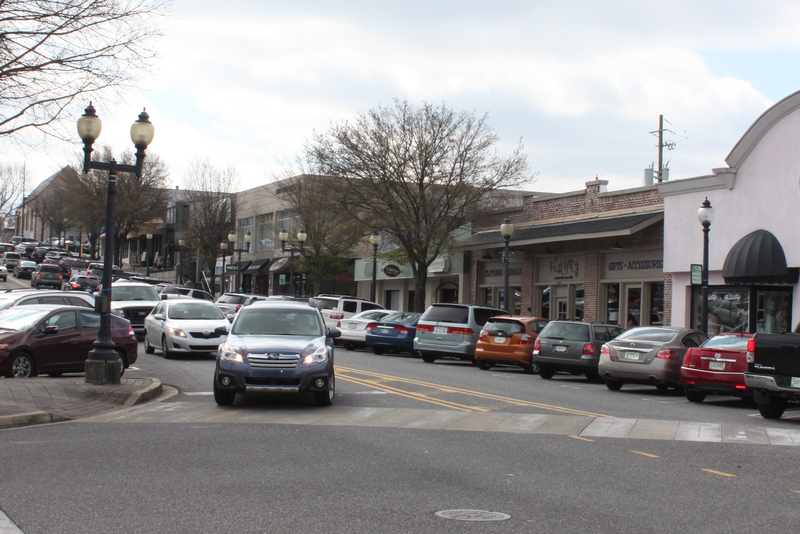 Pedestrians might easily miss this furniture and home decor store, camouflaged among the many shops of Homewood’s quaint 18th Street shopping district. But inside its blasé exterior lies a unique, eclectic wilderness wonderland. Originally founded in 1994 as a catalog, Seibels offers home furnishings and accessories used primarily for camps and cottages. After opening in 2000, Seibels began building clients customized beds, swings and tables — all with a country-style twist. But rusticity isn’t the only thing that makes Seibels’ merchandise unique. Holladay explains that most of the shop’s offerings are handmade, giving them an unusual level of quality. Holladay says one of Seibels’ most unique and popular offerings is its custom-made beds, which are constructed with pallets – or platforms used to ship furniture. And with the holiday season fast approaching, Seibels is beginning to look a lot like Christmas. Large Christmas trees dominate the store’s floor space, adorned with ornaments resembling fishing boats, campers and antlers. “We also have a niched Christmas,” Holladay said, showing off the different ornaments. 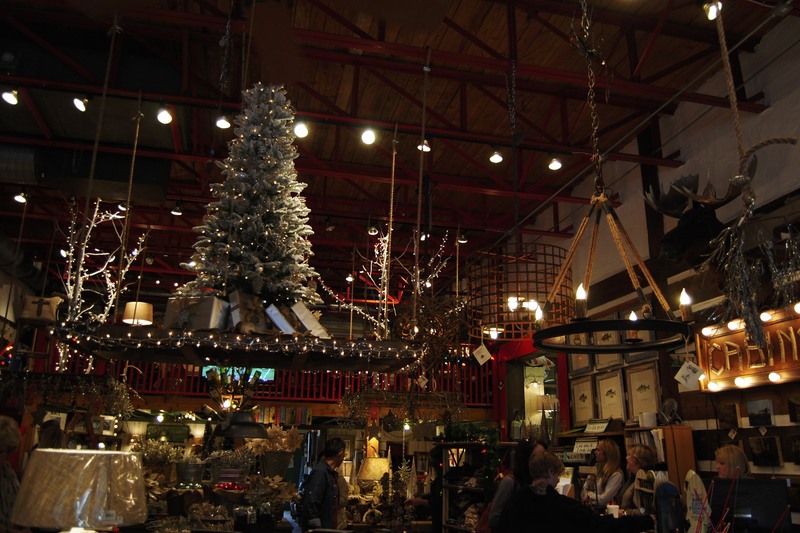 Holladay emphasizes that, despite Seibels’ rustic theme, the store is meant to be for everyone. 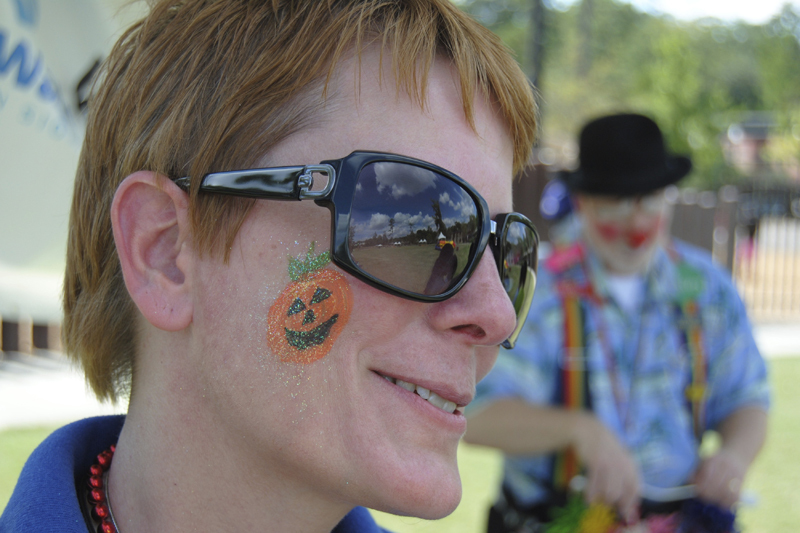 VisionWalk’s Natalie Linton paints her face to support the fight against blindness. Last Saturday, Birmingham’s fifth annual VisionWalk rallied a diverse cast of people to Homewood Park for one cause – the fight against blindness. University of Alabama student Nicole Mullins was looking for volunteer opportunities. Aaron Sparks came because his wife, Amanda, heard about the event at her office. UAB Department of Ophthalmology’s Megan Yates just came to lend some enthusiastic support. Birmingham is just one of 51 cities hosting VisionWalk, a seven-year-old fundraising event for the Foundation Fighting Blindness. So far, VisionWalks across the nation have raised $28 million in the fight against retinal degenerative disease, according to the organization’s website. Walk chair Randy Ferguson agreed, citing a personal connection to VisionWalk. Ferguson’s daughter Lauren suffers from retinitis pigmentosa, a hereditary condition that attacks her peripheral vision. Hope is exactly what psychologist Laura Dreer hopes to give to the visually impaired community. Dreer, who first moved to Birmingham to study traumatic brain injury, noticed there was little psychological aid for adults with visual impairments. To fill that void, she started UAB Connections, a support group for adults adjusting to blindness. Marcellus Scott, who is legally blind, needed to hear that message. Paul Mayo, a friend from the Department of Rehabilitation in Homewood, concurred. Also legally blind, Mayo dedicates his time to raising awareness for people with little to no vision. “I’m just trying to give a little back of what’s been given to me,” he said. For more information on supporting the Foundation Against Blindness, visit this link. In a culture filled with Wal-Marts and free shipping, people who enjoy supporting small businesses may have a hard time spotting them among all the familiar logos and super sales. However, 18th Street in Homewood is far from the usual. 18th Street has been around for more than 100 years. It’s a street known for its small businesses and out-of-the-ordinary merchandise. But what really makes 18th Street so special is its ability to thrive in this age of consumerism that emphasizes quantity over quality. Business owners on 18th Street give a lot of credit to the community. Linda Strickland, the owner of Ambiance, a store that displays a wide variety of unique home décor and fashion, says that Homewood customers and their concern for the city’s economy make the difference. That sense of community unites not only shoppers, but also store owners. 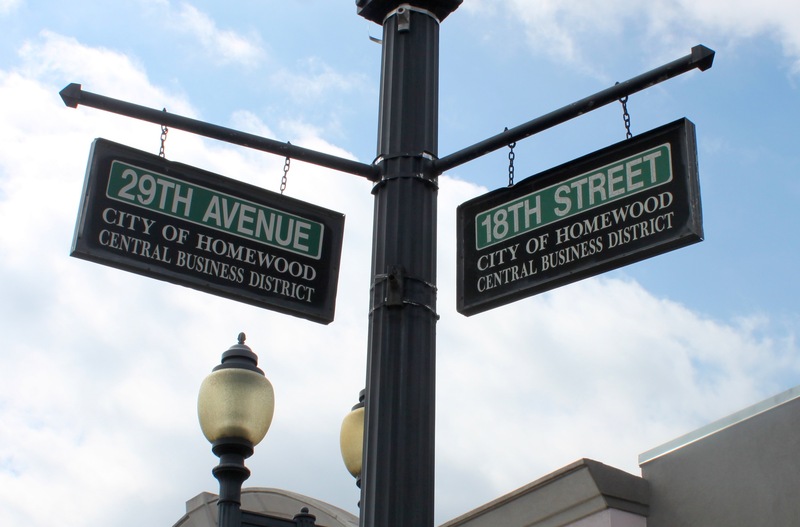 Although offering that value while still turning a profit can be a challenge for small business owners, the shop owners of 18th Street feel that because of the Homewood community, they are up to the challenge.